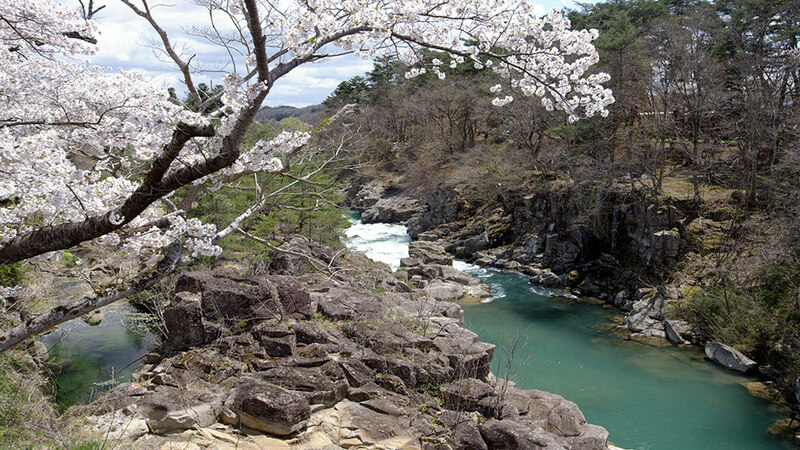 Stretching out along the banks of Kitakami River, Kitakami Tenshochi Park is one of Tohoku’s best spots for seeing cherry blossoms. 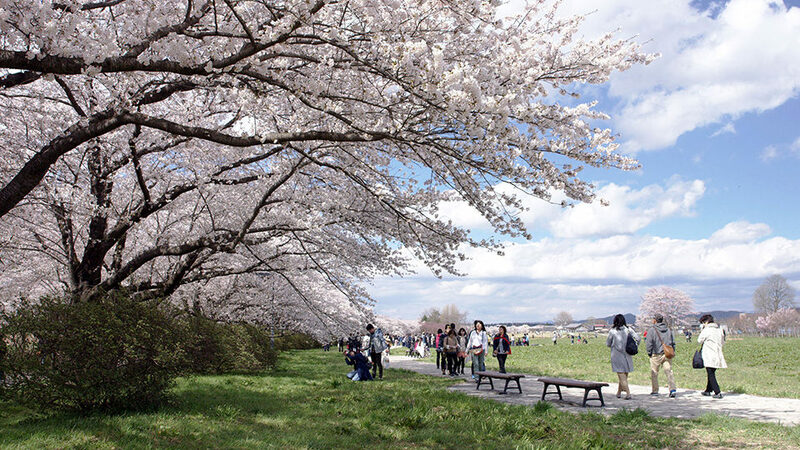 The 293-hectare park has 10,000 trees of about 150 varieties with flowers that vie with each other in beauty. You can also take a ride through a cherry blossom tunnel in an old-fashioned horse-drawn carriage. This 2-kilometer river gorge features waterfalls and fantastically shaped rocks that were carved out by the rushing waters. The beautiful scenery of the clear meltwater and 200 cherry blossom trees lining the riverbanks looks like a Japanese painting. 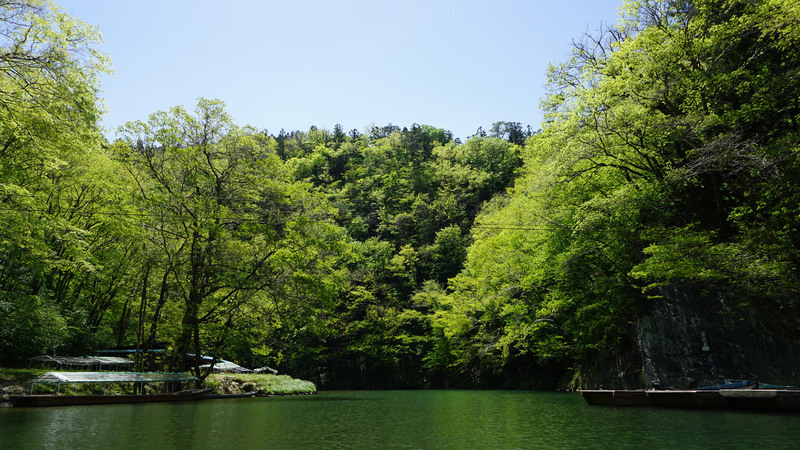 Gaze out over the gorge while eating “flying dango” (sweet rice dumplings)—a local specialty. 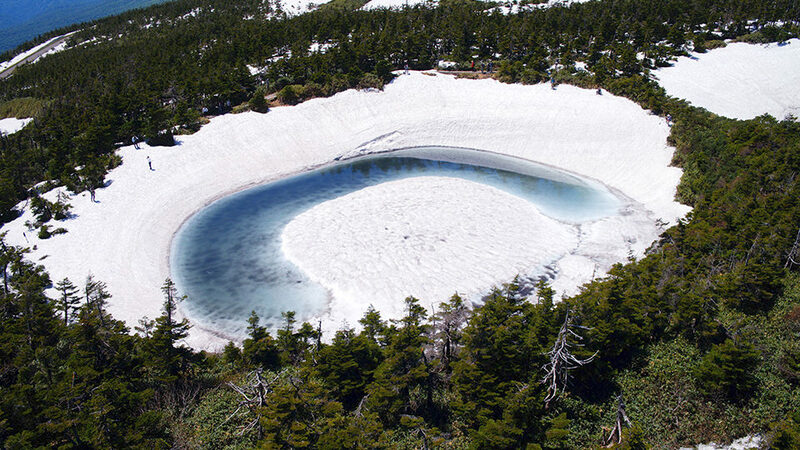 Also known as Nanbu Fuji due to its similarity to Mount Fuji, Mount Iwate is the highest mountain in Iwate Prefecture. At the base of the mountain, rice fields planted along the rivers seem to go on forever, with vivid, bright green rice plants covering the land. Seeing the picturesque fields against the awe-inspiring Mount Iwate is an unforgettable sight. Located in the city of Hachimantai, Kagami-numa Pond is a beautiful 50-meter-wide blue pond in the middle of a wetland marsh. When the snow starts to melt and new growth begins to appear, the pond looks like a gigantic “dragon eye.” The white snow and sparkling blue water is a magical, must-see sight.